As big fans of the Airhead boxers, we’re pleased to be able to offer a selection of different models at the moment. 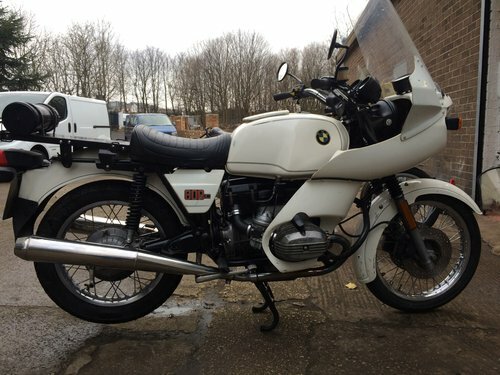 We have a 1978 R100 RS, very smart in two tone silver and blue. 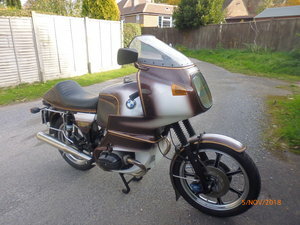 A very unusual 1980 R65, in full touring trim, complete with colour matched, genuine BMW RT fairing and Sigma pannier set. 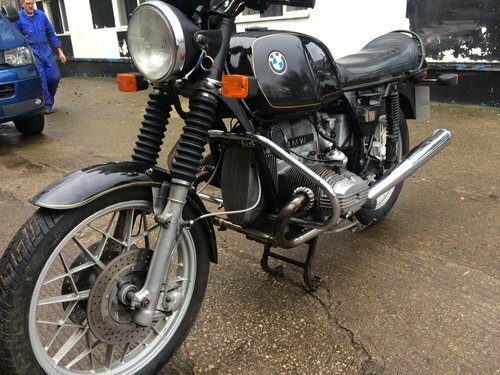 (Sorry, now sold) A 1980 R80, in very traditional in black / gold coachlines, and twin disc. 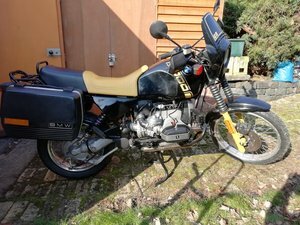 (Sorry, now sold) 1982 R80 TIC in totally original trim, and with twin Brembos. 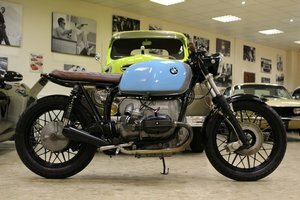 We also have an R100 twinsock, project, much work completed, due in. 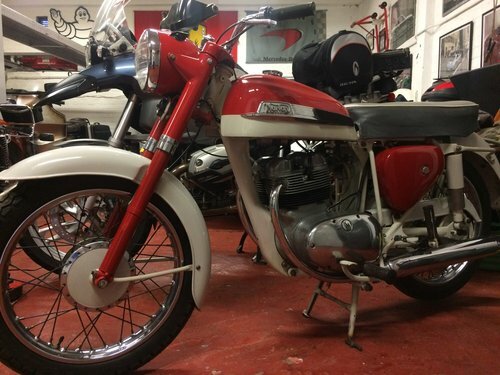 Also, we have a stunning, low mileage R80RT due in. 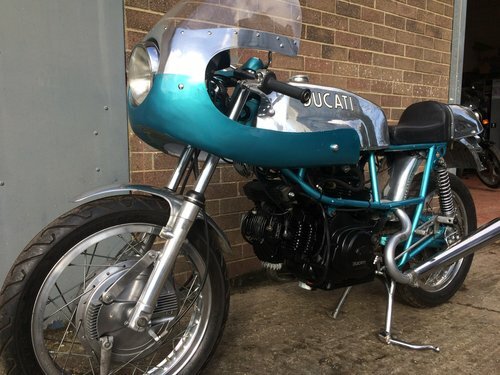 We also have a very smart, fully restored Norton jubilee in stock, and a VERY interesting Ducati special. 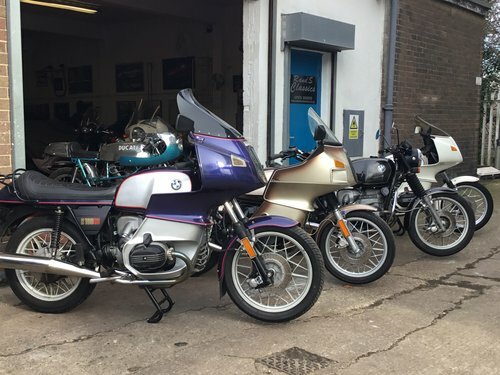 All of the above BMW’s are up and running and riding. 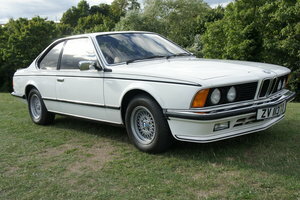 Prices on some will vary, depending upon levels of commissioning required, but all will be in the £2000 to £3700 range. 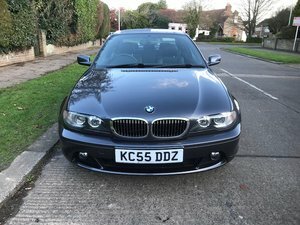 Please feel free to email or ring for any specific details or to chat about BMW boxers. 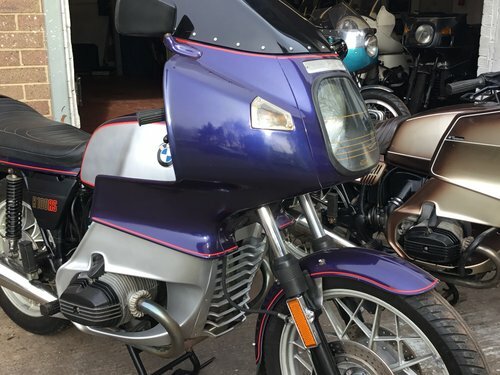 YOUR BMW airhead wanted for cash !